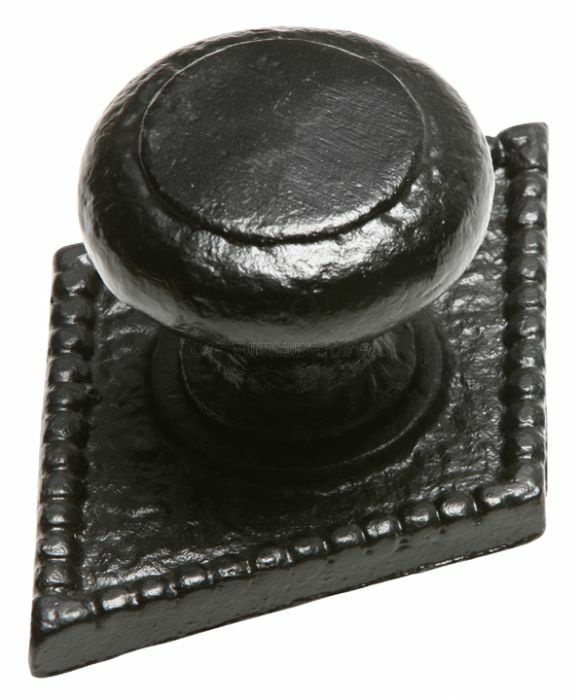 Antique centre door knob. The knob measures 82mm diameter and the plate measures 171x120mm diameter. Supplied with fixing bolt. This centre door knob is fitted to the external face of the door. It is fixed by means of a 10mm threaded bar which passes through the door and screws into the back of the door knob.